25 Aug 2018 – An interview by Tortilla con Sal with Anasha Campbell, co-director of Nicaragua’s Tourist Institute. Anasha Campbell, co-director of Nicaragua’s Tourist Institute. Tortilla con Sal: How do you feel about activity in Nicaragua’s tourist sector at the moment? What’s your main focus? Anasha: We are very confident. We are positive and we are passionate about this sector, about the development of tourism in Nicaragua. For us, tourism – more than the numbers in terms of tourists arriving, in terms of income – for us, tourism is a strategy for the human development of Nicaragua’s people. Our main focus right now is strengthening our promotional strategy to regain that influx of international arrivals, but also getting out the information that our tourism infrastructure, our cultural and also our natural patrimony are intact. We are working with this new campaign, ‘Nicaragua Is As Beautiful As Ever,’ focusing on the natural beauty of our country with more than 72 protected areas, about 20 percent of our territory being protected areas, but also our national reserves, with seven percent of the world’s biodiversity, and the volcanoes this country has to offer. Nicaragua has this uniqueness of offering different activities in a small territory in a short period of time. You can go from the Pacific Coast, doing activities such as surfing, to a colonial city and enjoy the architecture, nature and culture. You can also go sand boarding on a volcano, or visit the Masaya volcano, which is one of the few live lava lake volcanoes in the world. Go to the north and enjoy mountains, coffee and rural sustainable tourism development. Or go to the Caribbean Coast and enjoy another culture with rich history. Nicaragua has two faces: the Pacific face, which was colonized by the Spanish, and the Caribbean Coast, a British protectorate until 1894. You have this rich identity, this rich culture, this rich history and also the natural resources, which give you the opportunity to move between destinations and pursue different activities, passing from the sun and beach on the Pacific Coast to a different kind of beach on the Caribbean Coast while enjoying the uniqueness of Nicaragua’s history and culture. Most of all, the Nicaraguan people, who will always make you feel at home. Our campaign and promotional strategy is based on that: on being Nicaraguan and the authentic and original offerings this country has that make it unique. This country has a unique offering as a new destination, combining nature with culture. You get great satisfaction for less investment, compared with other parts of the world. Nicaragua now, thank God, enjoys tranquility, security, the interaction with Mother Nature that you will never experience in other parts of the world. That is the relation of our people with their various cultures, getting to know how we live and what we do, or enjoying the rich cuisine this country has to offer, which is so diverse in itself. That is the main message we have for foreign tourists: come and experience for yourselves the unique offerings Nicaragua has for you. Tortilla: Does tourism have a role helping democratize Nicaragua’s economy, for example, via the inclusion of the country’s Caribbean Coast? 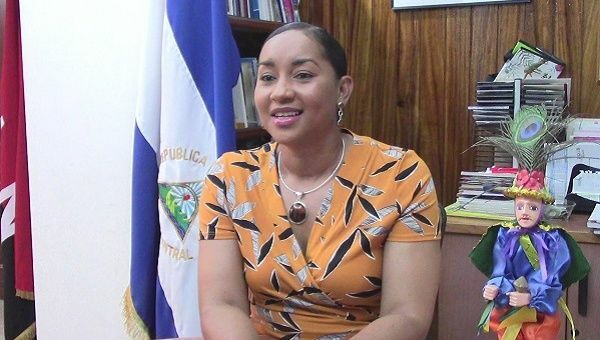 Anasha: In Nicaragua, tourism is based on SMEs: small and medium enterprises. Eighty percent of the tourist industry is based on these SMEs, and the democratization of that investment means it goes directly to the Nicaraguan people. It does not go to big capital that probably exports those gains from this sector. It is based on SMEs, which means that the Nicaraguan people, Nicaraguan families, are the ones who are offering their services and products in the tourism industry. That is why I mentioned before that for us tourism is seen as a strategy for the human development of the Nicaraguan people. From 2015 until now, tourism has been the main income-generating sector for the Nicaraguan economy in general. That means work for the Nicaraguan people, but it also means Nicaragua’s people have seen the sector as a means to generate income, both to develop their families and to develop their community itself. That is what also makes us different from other destinations, the fact you get that authentic feeling of the Nicaraguans, because it is the Nicaraguan people who are offering their services, their products in this tourism industry. That is the important thing: the benefits from tourism go directly to the Nicaraguan people. So when you come to Nicaragua, you are also contributing to the Nicaraguan people, to help them develop their families, their communities and their country as a whole. This industry has that quality of integrating all of Nicaragua, from all economic backgrounds. Tourism in this country started at the end of the 1990s, which means most of the population saw it as something spontaneous, to start their small hotel or their restaurant as a means of economic generation for their family. More than tourist arrivals and income generation and jobs generation is the bringing together of cultures and promoting cultural peace around the world. In the case of Nicaragua, we see through tourism how we have been strengthening ties between the Pacific and the Caribbean Coast. I must mention the projects our Government of Reconciliation and National Unity has been doing to include the Caribbean Coast in national development, not only in the tourism area. We can now travel from Managua to Bluefields because we have the road from Nueva Guinea to Bluefields, and we are working also on the highway from El Rama to Pearl Lagoon. That will strengthen not only the touristic offerings, because tourists will now have other alternatives of how to recreate, how to experience Nicaraguan history, how to interact with the cultures we have on the Caribbean Coast. I am one of those examples. I am from Bluefields and this democratization of tourism brings that together, brings that facility of interaction between Nicaraguans, between Nicaragua’s Pacific Coast and its Caribbean Coast. It has been contributing over the last 11 years in terms of poverty alleviation due to tourism, because tourism is transversal in all areas. A fisherman on the Caribbean Coast can offer sport fishing as a tourist attraction, or he may offer also a tour to places like Pearl Keys. That is how tourism benefits all states or stages of society and integrating in terms of understanding among Nicaragua’s people, embracing that multicultural, multi-ethnic part of the nation in general. Tourism enhances that understanding between cultures and contributes to strengthening the culture of peace in all countries. Nicaragua is not the exception and that’s why for us this is our main economic activity for the development of our country as a whole. In August, the main celebration we have is the 177th anniversary of the emancipation of slavery in Corn Island, which is also our main destination in the Caribbean Coast. With that, I’d like to invite you to come to our country to enjoy this authentic original experience, to experience Nicaragua, to enjoy our people, our culture, our natural riches and resources that wait with their hearts and their hands open to welcome you in this land of lakes and volcanoes, the land of Dario and Sandino.